You may have noticed that I don't get out a lot. In fact I've only been more than 10 miles from my home once in the past decade. I have a very disabled daughter and I'm required to be on hand to help with her. Even when we have respite carers in I need to be within earshot to carry her about when she needs moving. All this means that with 6 months' notice and enough motivation I can reach an 80-90% probability of attending an event - which frankly isn't high enough for me to agree to anything that depends upon me. I'm never going to agree to a signing and have people make the effort to be there if there's a 20% chance I might not turn up. I wouldn't take that risk of wasting people's time. 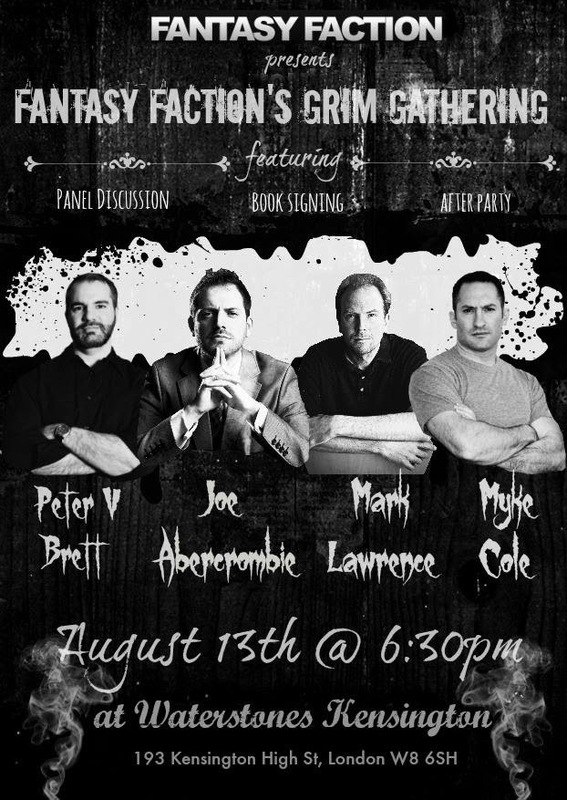 HOWEVER - when Joe Abercrombie, Peter V. Brett, and Myke Cole are heading the bill under the expert stewardship of Marc Aplin then I know anyone going is going to get a great dose of fantasy related goodness whether I make it or not. And under those conditions I agreed to do my damnedest to attend. It'd take two broken legs or some Celyn-related crisis to stop me! It looks like I'll also be able to come to the drinks afterwards and hang out a bit, in a good way. Click HERE to get the full details of how to sign up - it's free but space is limited. 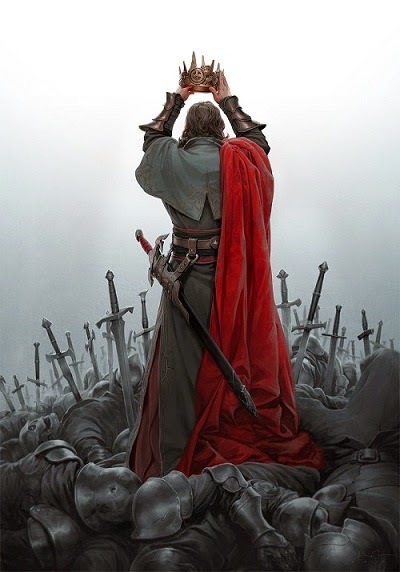 The Gemmell Awards - Best.Friday 13th.Ever. James Long (Orbit Books), Ian Drury (Sheil Land), and Natasha Bardon (Voyager) with the Gemmell Morningstar, Legend, and Ravenheart Awards respectively, being received on behalf of Brian McClellan, me, and Jason Chan. 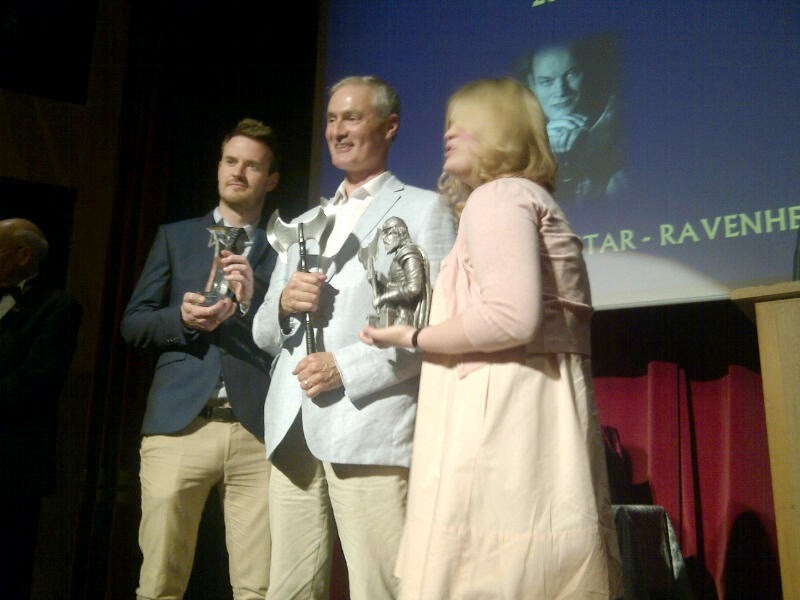 Last night (Friday 13th) the great and good of publishing gathered along with readers and genre fans at the Magic Circle in London for the 6th annual David Gemmell Awards ceremony. I'm sorry that I couldn't be at the ceremony - the thought that I might win seriously never entered my thinking but even if they'd told me in advance I really need about 6 months notice and for the stars to align if I want to go more than 10 miles from my house. My duties caring for my very disabled daughter make attending any events nearly impossible. To say I was incredibly surprised at the win would be gross understatement. I thought I had a decent chance at the Morningstar in 2012. I thought I had a small chance at the Legend in 2013, but this year, really no way. 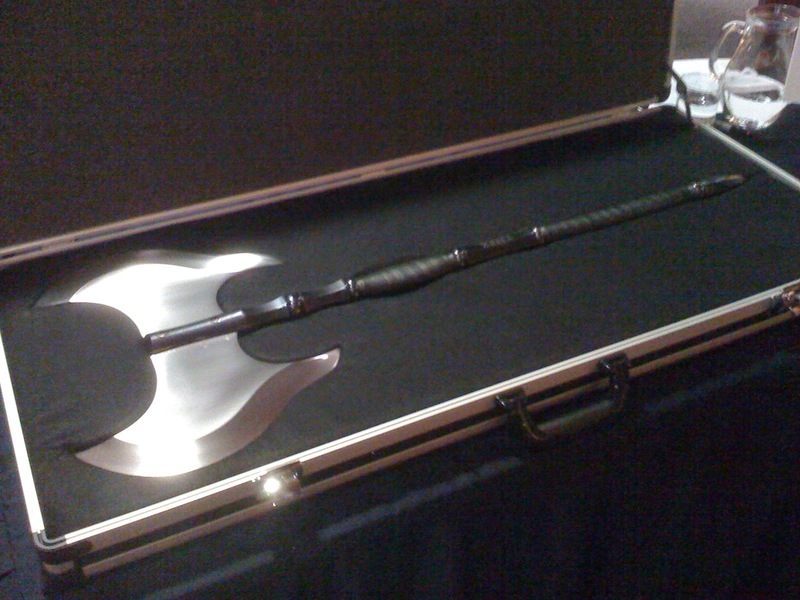 The award means a great deal to me as a long time fan of David Gemmell's work. 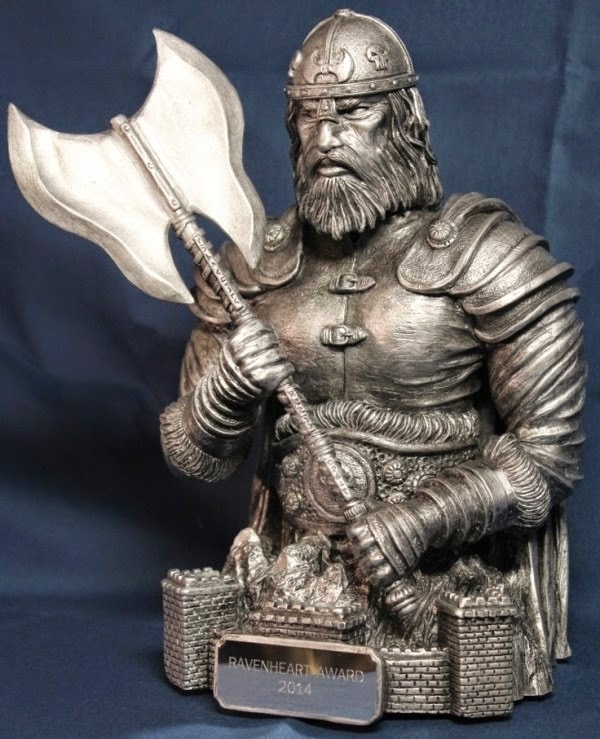 I've been keen that the world of fantasy have a lasting memorial to the man, and the success and growing impact of the Gemmell Awards is very heartening. It's great to have this vote of confidence from the readers, and on a personal note - this really is the only way I could ever get a battleaxe past my wife into the house - so thanks to all who helped me to get it! 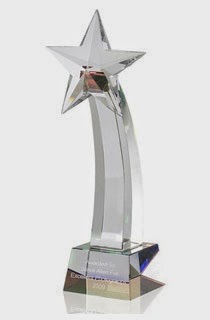 >uh ... it would be THESE AWARDS ARE FIXED! ...because there's no way Sanderson/Jordan won't win. > Have a good time! I've no idea what he did say, but thanks! 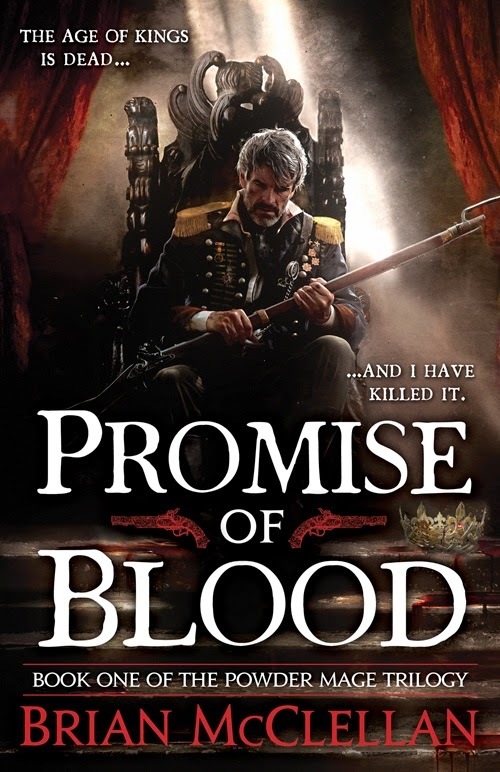 Read more about it on the Gemmell Award website.